You are maybe an economist, a financial analyst, or an engineer, or simply a layman interested in renewable energy. You think you need a solid overview but you don’t know where to start. Clean-tech is of course a broader subject than renewable energy covering issues like biomaterials, green buildings, energy-efficient transportation and water. Nevertheless, it is always useful to have a broader view. Furthermore, issues like green buildings and water are closely related with renewable energy. You can use for example solar energy for water purification. Or solar thermal energy for water heating at home. Clean-tech Revolution is really an easy and enjoyable read and very informative too. You find in this book also key information about markets and investments besides new technologies and trends. The list of promising companies in each industry might be very valuable for investment professionals. Indian’s Suzlon Energy for example, one of the world’s fastest growing pioneers in wind turbines. This company is according to Clean-tech Revolution (2007) number 5 in global sales, acquiring new business in China, Europe and USA. Solar is the energy of future. It is the renewable energy with the highest potential. Actually, our whole ecology and sustenance is based on solar energy; just think of plants, phytoplancton, coral reefs or other creatures which can photosynthesize. Clean-tech Revolution notes that some large conglomerate companies like BP (British Petrol), GE, Sharp and Shell heavily invest in solar energy. Relatively new companies like Germany’s Q-Cells, Norway’s REC, California’s SunPower and China’s Suntech Power already count among giants in the industry. Before I read Clean-tech Revolution I didn’t know that developing countries like India and China were so aware of the potential in renewable energy. And what’s my poor home country Turkey doing meanwhile? Stuck in a deep economical crisis with an unbelievable unemployment rate, Turkey is wasting time with political and ideological power fights among islamofascists, military and other secular forces of the country. I think, Turkey acutely needs creative politicians with new missions and enthusiasms like “green revolution for a sustainable future” to get out of this ideological blind alley. Let’s come back to renewable energy from politics. Clean-Edge, the website of CleanTech Revolution’s authors is -though too trendy and businesslike- also a good source for uptodate market information for business professionals; but not necessarily for beginners. OK, you read Clean-Tech Revolution, and now you have a nice overview. 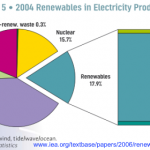 It’s now time to move on and learn more about renewable energies: Energy use in the world; global energy trends, and the place of renewable energies like solar, wind, bioenergy, hydroelectricity, geothermal, wave and tidal power etc. in the whole picture. Also an understandable and enjoyable read, Renewable Energy is the textbook advised by Oxford and Open University Worldwide. You can apply for a remote study at this open university to get an official certificate for e.g. energy sustainability. But the fees are especially for oversees students (out of UK) quite expensive. After a short introduction about world energy supplies, which I find very useful, Renewable Energy dives headfirst into renewable energy issues like solar thermal (active and passive), solar photovoltaics, heat pumps, bioenergy, wind, wave and tidal power etc. The last chapter is devoted to economical issues and integration. Air-source and ground-source heat pumps are also handled in the content, although with less enthusiasm and coverage than they deserve for their huge potential. Not too many people know that over 70% of buildings in Sweden, and over 50% in Switzerland, are heated with geothermal heat pumps. I like the broad view and interdisciplinary approach of Renewable Energy. You find information about both technology and economy. Renewable Energy is, as its name implies, mainly about renewable energy. After I was finished with reading it, I thought, now I understand what solar or wind energy is. 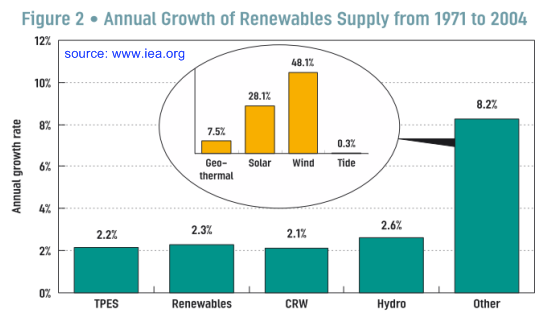 But what is the place of these renewable energy forms in the whole picture of the global energy consumption? What about oil, coal and nuclear power? You can’t say you understand renewable energy without understanding the whole energy issue. Another easy-read textbook advised by Oxford and Open University Worldwide. It tells much about the history of energy as well as the use and forms of energy. Fossil fuels like coal (21.6%), oil (34.6%) and natural gas (21.4%) supply almost 80% of the world’s current energy cunsumption (year 2000 estimates). In an industrialized country like UK most energy is consumed by the transport sector (34%). It is followed by households (29%) for heating, cooking and lighting, industry (23%) and services (14%). As you might have already noticed, renewable energies like solar, wind and heat pumps have still an incredibly little share in the whole energy balance. But these figures are now changing rapidly. They are bound to change because oil reserves should last for about 40 years at current consumption rates (BP, 2003); natural gas about 60 and coal about 200 years. 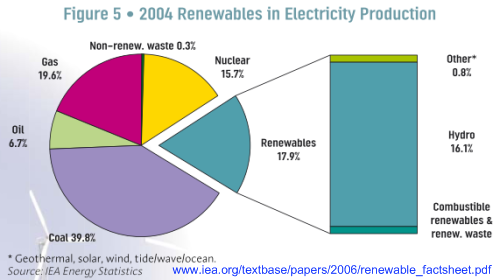 You can download an renewable energy factsheet from the website of IEA (International Energy Agency, www.iea.org). In less industrialized countries traditional biomass (bioenergy) such as wood, plant and animal waste etc. which is also renewable energy plays a greater role. Traditional biomass can be burned directly to produce heat, but it can also be converted into biofuels (modern bioenergy). The three books above will help you to understand the whole picture of energy. There are however still some issues that require a deeper understanding. For example, the energy policy as applied e.g. in North America and Europe; feed-in laws, green certificates and renewable portfolio standards. How will solar energy shape our future? How will the motor industry react to increasing environmental demands and diminishing oil reserves? What’s the future of electric cars? What are the latest green building standards? The MIT Design Advisor: Building energy simulation in minutes. Heating, cooling, lighting, comfort, and more. Please feel free to add your comments if you have other useful resources for renewable energy in mind. This entry was posted on Saturday, July 18th, 2009 and is filed under Sustainable life. You can follow any responses to this entry through RSS 2.0. You can skip to the end and leave a response. Pinging is currently not allowed. marx, thank you for your recommendation (AWEA). I added it to my link list. This is an excellent overview book which explains the current market and technology situation without getting too technical. Probably the best overview book I’ve read so far. After reading this book you’ll also have an idea about emerging technologies and companies to invest with their stock exchange codes. I particularly liked the rich reference list of this book.